We have made it our business to make sure your well wishes are communicated effectively when you choose to do it by sending flowers. At Handy Flowers we are dedicated to giving our customers the best possible selection of flowers for the cheapest prices. We are committed to timely flower delivery in North London and are proud of our extensive range of flowers that includes the roses, tulips, orchids, sunflowers and carnations. We also offer more exotic and luxury flower as well as bespoke flower arrangements. We will do our best to accommodate any special request concerning certain colours, types of flowers, etc. If you are not sure, we can suggest options for you too. Place your order with us now! Don't let our cheap prices translate into less quality. That is not the case. We have a reputation for being the best florists in North London. That means we concentrate our efforts on keeping costs down but we never loosen our standards for a quality product. We at Handy Flowers know the importance of representing the customer to the recipient and flower delivery is a vital part of that impression. We have cheap flowers on offer but they are better in terms of quality than those offered by local high-end flower shops. Our florists are well versed in their chosen profession. They love what they do and you will love what they do, too. Our florists in North London know how to translate your vision into a floral arrangement that will exceed all of your expectations. A message of well wishes, congratulations, love or whatever sentiment you want to convey will be well received and completely understood. Our team take pride in delivering the best quality flowers and utilize a wide range of options when fulfilling your order. Order now and get a spectacular flower arrangement for that someone or something special. You will find what you need when you need it at our flower shop. Sending flowers by post in North London is simple if you place an order with us. We offer next day and same day flower delivery and we guarantee it. Special requests are always considered. Contact us to find out about our delivery options that include bulk deliveries, specific times, hand delivery or special requests. Our goal is to keep you satisfied by providing top-notch customer service so you will never need to go to any other flower shop to meet your flower delivery needs. Send flowers by placing your order with Handy Flowers now and you can be confident it will be completed per your request. All there is left for you to do is sit back, relax and enjoy the results. You will enjoy a stress-free experience from experts that know what they are doing. The value for your money we offer cannot be matched by any other North London florist. Order now and you will work with experienced team with the skills and imagination needed to provide you with the type of flower arrangement you want. Whether you need a bespoke flower display or a simple bouquet of roses, we can handle it all. Our dedicated team will ensure you get your flowers delivered in perfect condition in a timely manner every time. Our talented florists create beautiful arrangements using only fresh and fragrant blooms. We value our customers as much as you value good services. You will be 100% satisfied with the quality of our flowers and inexpensive prices. Unsuccessful flower delivery is not an option. Send flowers now and let us show you why we are the best around. North London is a sub-region of Greater London and includes the areas north of the River Thames. 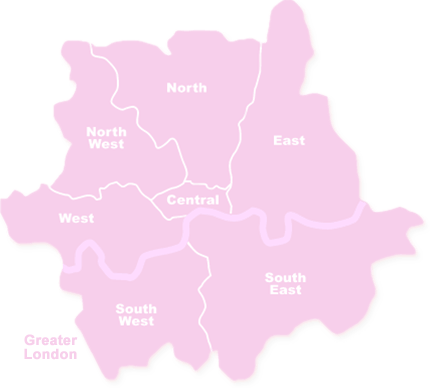 The area consists of 3 London Boroughs: Barnet, Haringey and Enfield. Some of the top attractions to visit in North London include Camden Passage, Alexandra Palace, Little Angel Theatre, Emirates Stadium, Highgate Cemetery, Bruce Castle and London Canal Museum. Some of the areas falling within the 3 London Boroughs are Finchley, Church End, Fortis Green, Edmonton, Edmonton, Woodside Park, Palmers Green and Totteridge. North London is home to some of the greatest galleries and museums in the world.